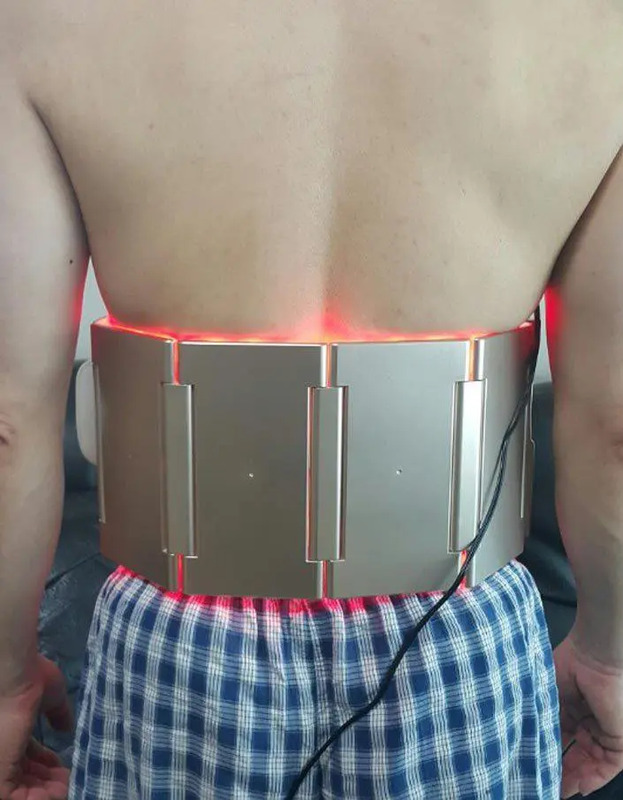 Lipolysis can be promoted by wearing this LED belt on your waist. Due to the strong LED light and infrared light, it can help to reduce fat not only on your waist, but on any part of your body. This type of LED therapy was developed by NASA to treat astronauts in space. 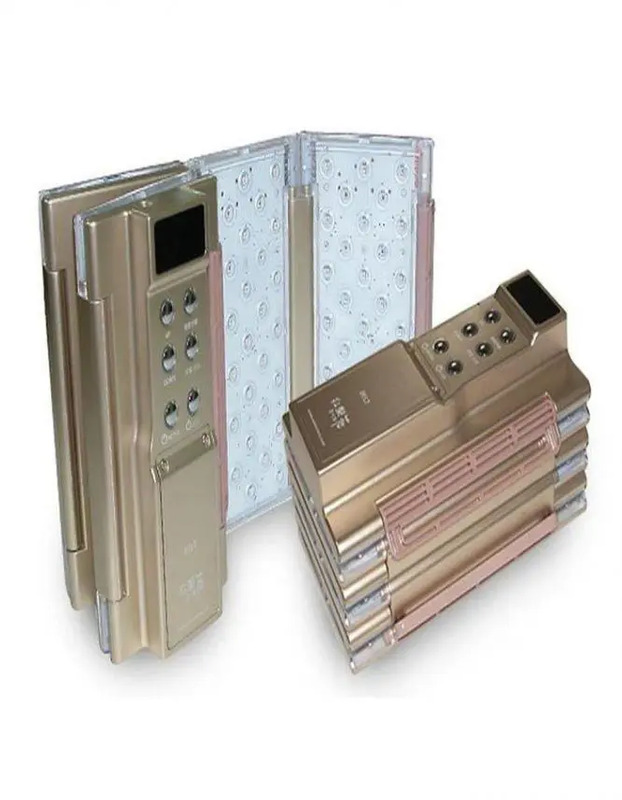 The LED light of this belt carries mitochondria into the nucleus of the fat cell by creating a transient pore in the cell membrane that allows fatty acids and triglycerides to escape into the interstitial space. The released fat is then drained by the lymphatic system and treated by the liver as part of the body’s normal detoxification process. The pore in the fat cell will close in about 48-72 hours and the released contents will be expelled into the patient’s stool, urine or metabolized over the next few days. The mitochondria stimulated in fat cells increase glucose oxidation because LED light stimulates a key copper enzyme in our cells. More cellular energy is produced and more glucose is burned. The increase in metabolic rate leads to fat loss. Uses LED light to remove fat without any needles, incisions, surgery or recovery time. It reduces visceral fat and inflammation. Improves blood circulation. It is good for reducing fat, helping to relieve muscle pain, improving intestinal transit and reducing visceral fat and inflammation. Toutes les autres machines sur le marché utilisent généralement un couvercle qui peut réduire la quantité de lumière de la LED. La ceinture à led adopte un système optique pour maximiser la sortie de lumière des LED afin de fournir plus de lumière à la peau de l’utilisateur pour de meilleurs résultats. 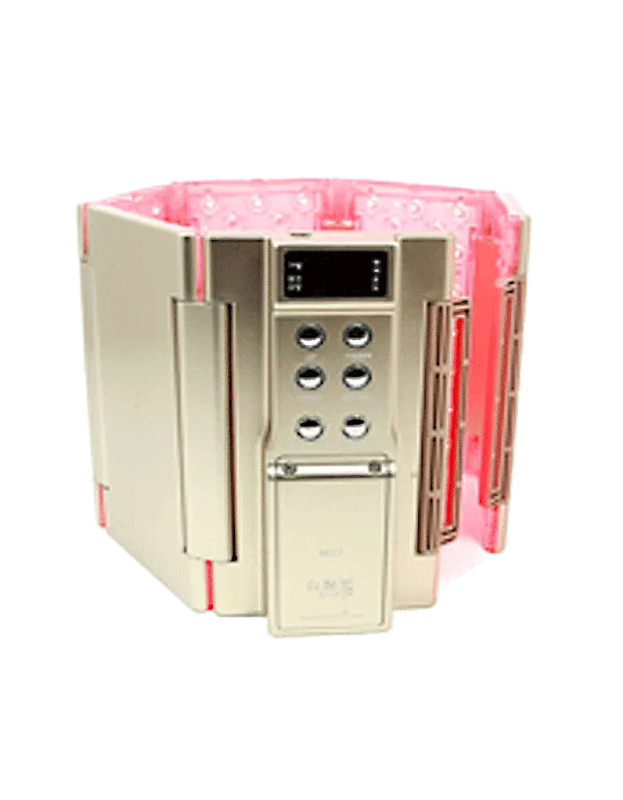 Other processing machines on the market have another separate controller or adapter that restricts the user to one place during therapy. 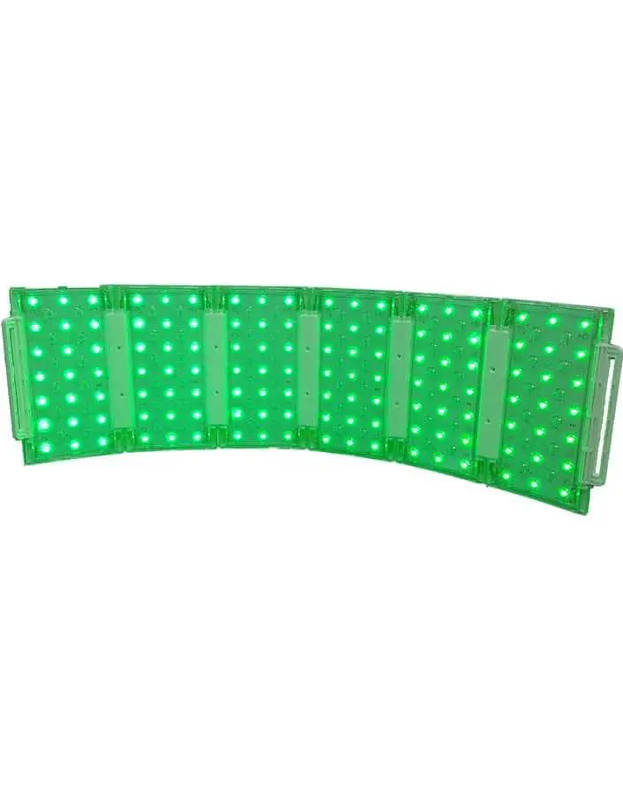 However, the LED belt has a rechargeable remote control system so you can continue to read, watch TV, etc. Our light waves differ between 450nm ~ 850nm depending on the therapy chosen. 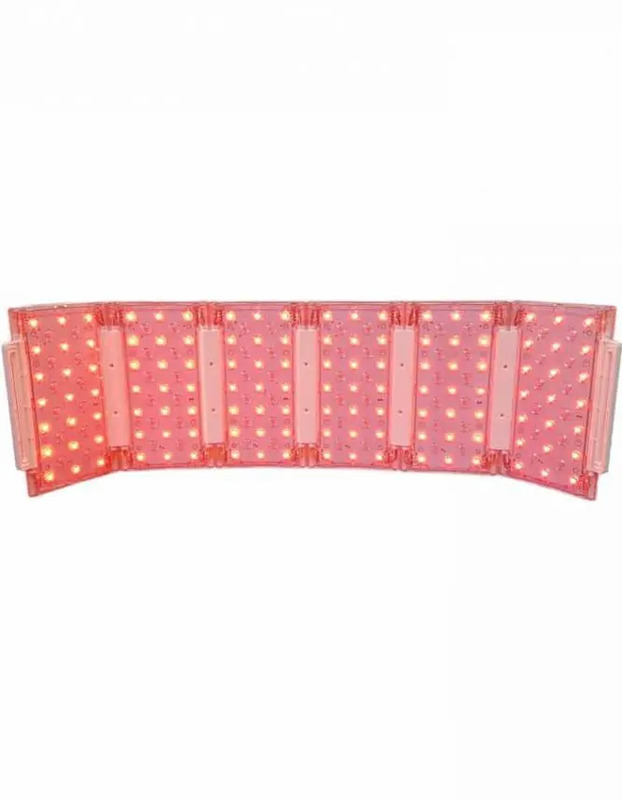 We have fine-tuned the infrared LED light frequencies for the most efficient treatment. Without precise light frequencies, the treatment is less effective. Use of different wavelengths to activate the cells. ✔️ Lipolysis: catalyzes lipolysis on the abdomen. Relieves pain caused by poor blood circulation. ✔️ Pain / inflammation: reduces muscle pain by providing more oxygen to the muscles and improving blood circulation. ✔️ Heating: thermomassage function. Improves blood circulation. Helps to remove certain toxins from our skin through perspiration. A session lasts 20 minutes and the device stops working automatically. The device can be used about 6 times with 1 full charge but if you use the “Heat” function, the battery consumption will be higher. If you only want to use the heating function, we recommend that you connect the unit to the power supply. Do not use in pregnant women. Do not look the light directly in the eyes.